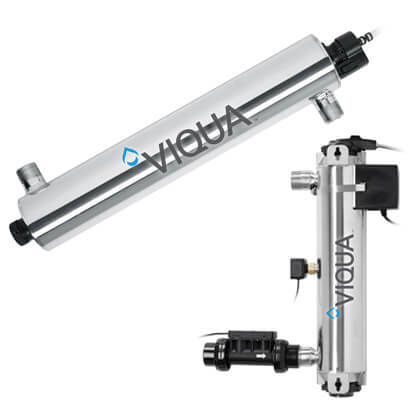 VIQUA TAP Series Point of Use UV Systems | Applied Membranes Inc.
VIQUA TAP Series Ultraviolet Disinfection Systems are specifically designed for point-of-use applications where microbiological control is required. Ultraviolet water treatment controls bacteria, virus and protozoan cyst (specifically giardia lamblia and cryptosporidium). VIQUA TAP series are installed at a single tap (or faucet) within a home, cottage or business. TAP systems are also suitable for fountains or low-flow applications (1-4 gpm). 99.99% destruction of bacteria, virus and protozoan cysts (Giardia Lamblia and Cryptosporidium) at rated flow. *Some protozoa like Cryptosporidium and Giardia are resistant to chlorination. The quality of drinking water can change with time and become contaminated with harmful bacteria. 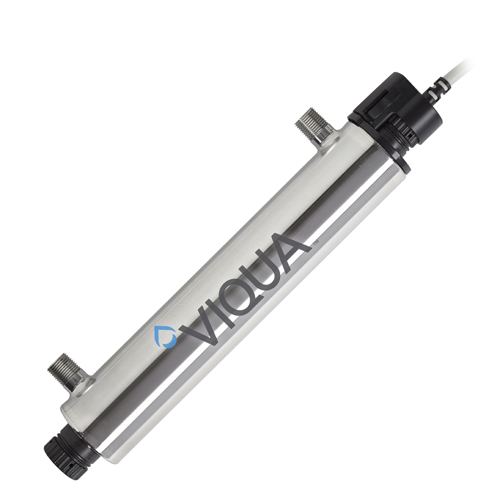 VIQUA UV systems are a reliable, economical and chemical-free way to safeguard drinking water in any residential application. TAP Plus System – with count down timer display and audible lamp failure & replacement alarms. 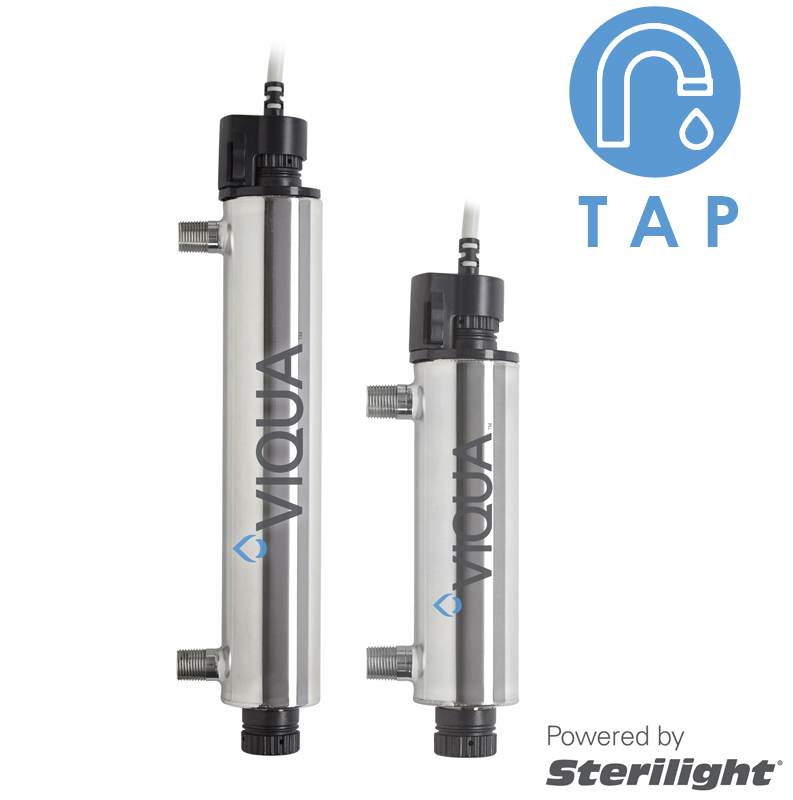 Notes: VIQUA TAP Series (VT1 & VT4) replaces Sterilight Copper Series (SC1, SC2.5, and SC4) which have been discontinued by the manufacturer. 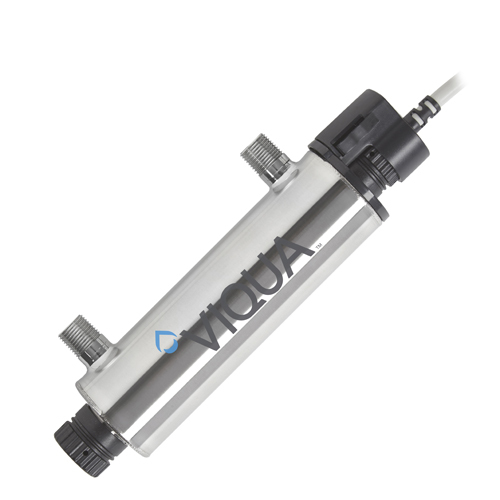 **Recommended flow is set by the manufacturer's standard and is based on 30mj/cm² UV dose in 95% UVT water. 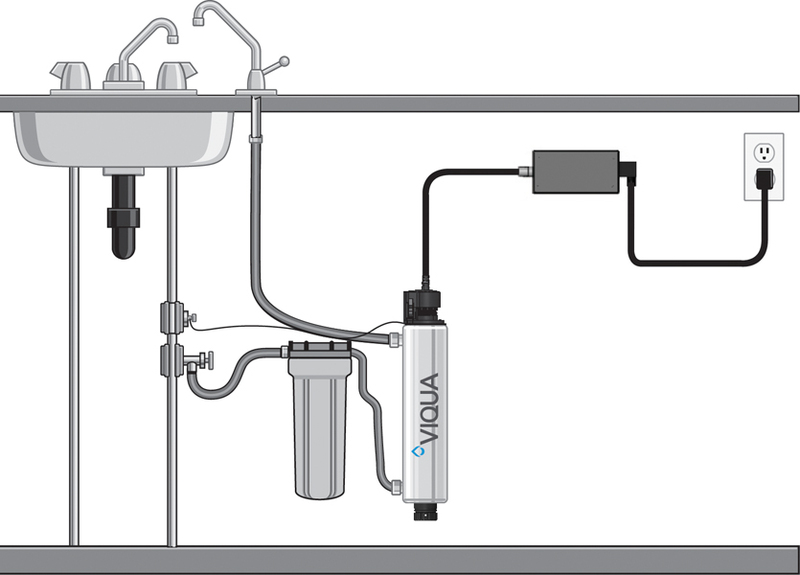 Point-of-Use systems can be installed at almost any sink for safe, clean water straight from the tap. *North America voltage. Contact us for alternative voltages. 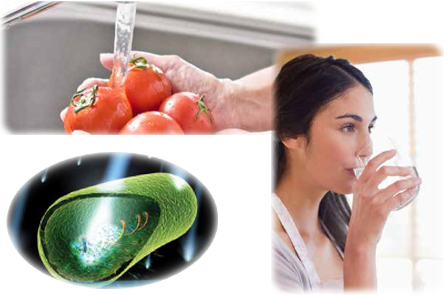 Where can Ultraviolet (UV) Disinfection Be Used?